Use it as an accent piece or a centerpiece in a small-scale living room, however you style it, this glide rocking settee is a unique and impressive piece. Classic and feminine lines carry this design, from the tall, flared wing back to the primly tailed skirt. Since it seats two comfortably and features a gentle gliding motion, it could even be a clever alternative to a nursery rocker. 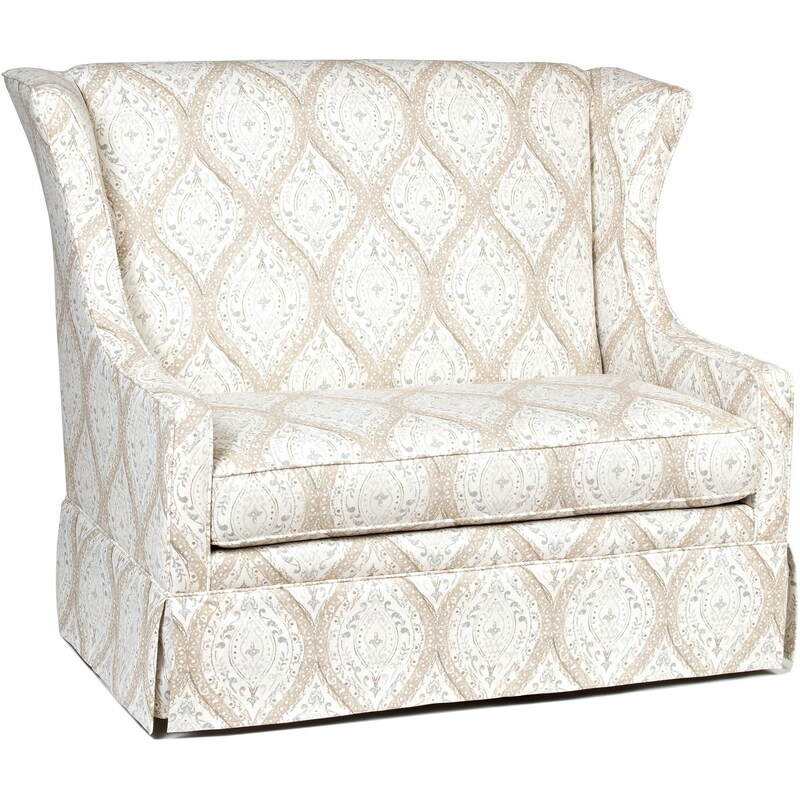 The Accent Chairs and Ottomans Traditional Gliding Settee with Wing Back by Chairs America at Royal Furniture in the Memphis, Nashville, Jackson, Birmingham area. Product availability may vary. Contact us for the most current availability on this product. The Accent Chairs and Ottomans collection is a great option if you are looking for Traditional Cottage furniture in the Memphis, Nashville, Jackson, Birmingham area.